Rose Garden Resort is located on the island of Ngerkebesang, tucked away on a hillside with a spectacular view of Babeldaob Island, the Japan-Palau Friendship Bridge, Koror, Malakal Island, and its surrounding lagoons. Our property consists of locally sourced timber cabins on the side of the mountain looking toward Koror, across the Bay. We also have a large restaurant and bar area with views overlooking the water. There are a total of 20 rooms here at Rose Garden. They are simple in design but built for your comfort. Each room has a great view of the Malakal Lagoon and the surrounding islands. Free Wi-Fi access is also available on the resort grounds and in the restaurant. You can enjoy a spectacular view and enjoy our natural, wood cabins. This is the place to enjoy peace and quiet. 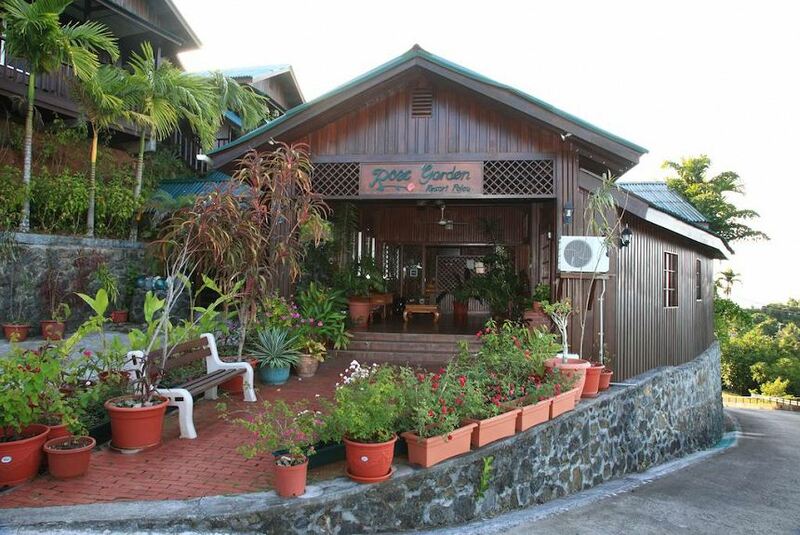 We are about 20 minutes away from the airport and 5 minutes away from downtown Koror, Palau. So getting around and visiting the numerous tourist attractions won't be a problem.